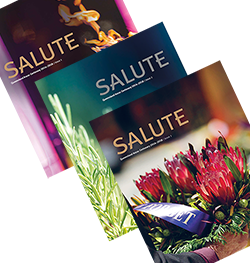 Salute is a Queensland Anzac Centenary publication showcasing some of the commemorative activities and grants projects completed since 2014. Salute is a tribute to the servicemen and women who served and sacrificed, not only in the Great War, but also over the subsequent century of service. In commemorating the Anzac Centenary, we are reminded of how brave young Australians lived the Anzac values of courage, integrity, resilience, mateship, teamwork, duty and sacrifice.